Ha! We’ve got one just like that lying around here somewhere. Of course there’s zero chance I’d be able to locate it if I tried. This thing is gorgeous. 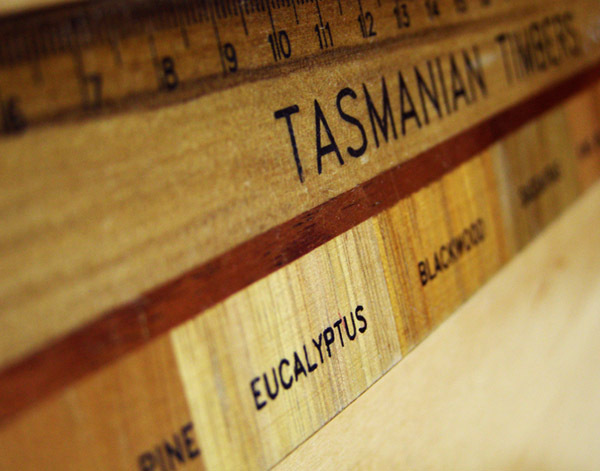 I’m a sucker for beautiful wood, and its always nice to have a ruler around. 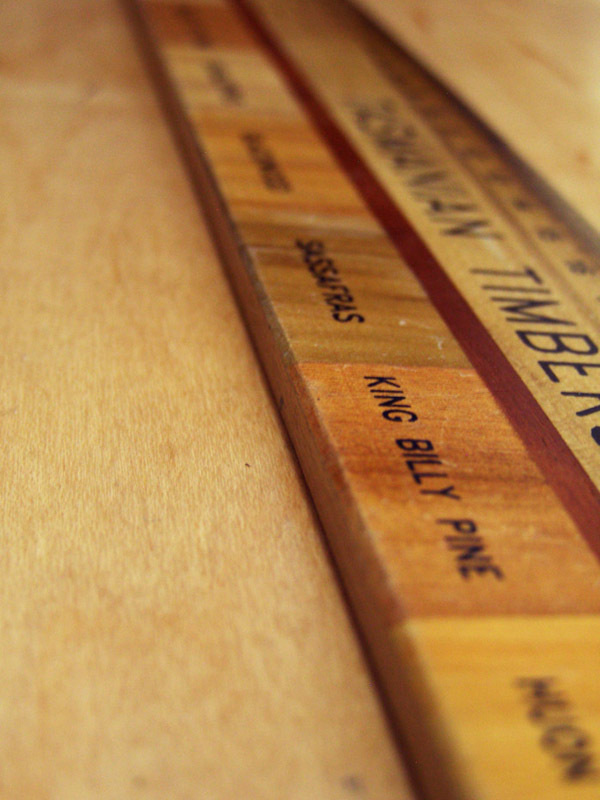 I think the best ruler I have is my one that lists all of the rulers of England since 1071. Haha, I’d buy one of them for the inferred pun alone. 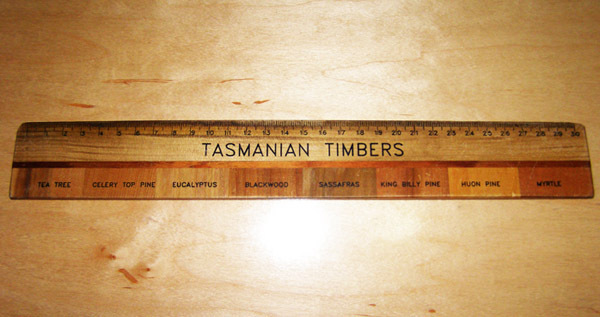 Where can I buy a Tasmanian timber ruler in Melbourne, please.